Very nice men on a very nice night with very special guest Freddy Limbert on drums! 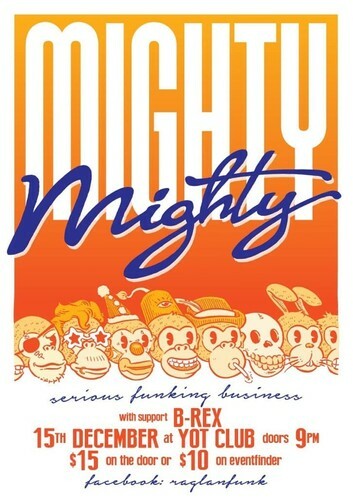 Continuing on the long-running residency at the Yot Club, Raglan's own Funk Machine Mighty Mighty are back for a Christmas Special! Featuring the explosive talent of Fredmo on the drums!